A look at the news, pictures and events surrounding the holiday season. Planning to see a movie over the Christmas weekend? 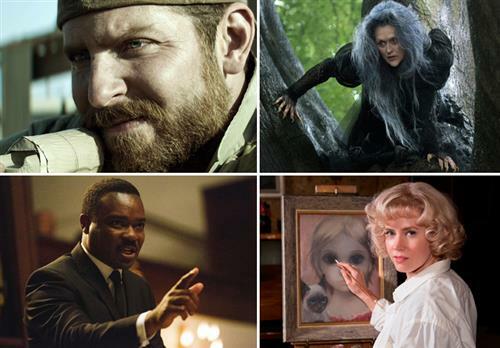 WTOP Film Critic Jason Fraley highlights your choices of new releases at the box office while you’re home for the holidays. Volunteers at the North American Aerospace Defense Command are getting ready to monitor Santa Claus as he makes his storybook Christmas Eve flight. 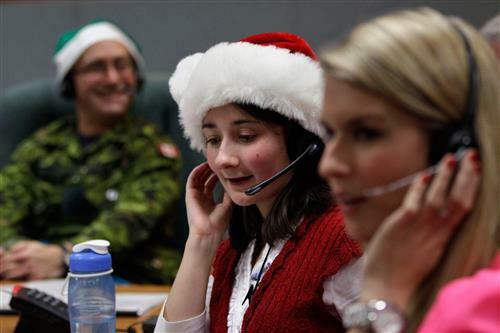 Technology and social media have become an important part of the U.S. and Canadian military tradition, and NORAD Tracks Santa has already attracted a record 1.5 million Facebook “likes.” The volunteers will spend Wednesday answering phone calls and emails from children wondering when Santa Claus is comin’ to town. The helpers also post updates on the fabled journey to Facebook, Twitter and www.NORADSanta.org. WASHINGTON — Are you the ultimate procrastinator when it comes to holiday shopping? We say it lot, but now it’s real: Time is running out to get that Christmas shopping done. Read about which stores are open on Christmas Eve on WTOP.com. RICHMOND, Va. (AP) — The Virginia Department of Transportation says it will suspend most highway work zones for several days over Christmas. VDOT says the goal is to limit congestion and provide as many travel lanes as possible. CUMBERLAND, Md. (AP) — Allegany County public school students are learning to recycle Christmas cards in a charitable way. The school system said Tuesday that seventh-graders at Mount Savage Middle School have delivered to a Frostburg nursing home more than 100 cards refashioned into wreaths and ornaments. LANDOVER, Md. 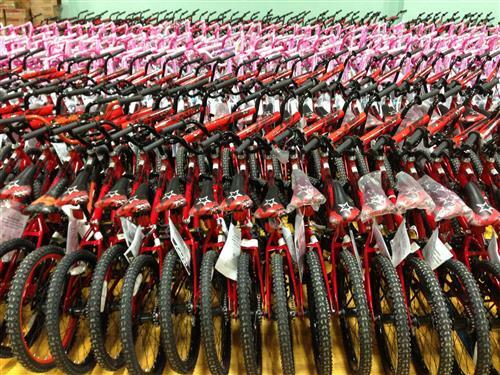 — More than 15,000 Prince George’s County families will have presents under the Christmas tree this year, thanks to the annual Toys for Tots program. Melissa Askew, a mother of eight, was among the first in line and waited 10 hours to get her bag filled with gifts. It takes a massive effort to distribute the toys every year. On Sunday, there were about 100 police officers and 100 volunteers on hand to help collect and bag thousands of items for needy families. CHICAGO (AP) — Travelers setting out for the holidays could face trouble, with anticipated Christmas Eve snow around the Great Lakes states and heavy rain expected along the East Coast. National Weather Service meteorologists predicted rain that would turn into snow for some parts of Missouri to Michigan, with several inches expected Wednesday in portions of Illinois. Officials at both airport hubs in Chicago readied for the potential of holiday delays and cancellations, particularly with more people expected to fly this year. BLUMFIELD TOWNSHIP, Mich. (AP) — Joseph proposed marriage to Mary — in Michigan. Joe Maurer and Kate Heinlein became engaged during a break from portraying the parents of Jesus Christ. They were re-enacting the Nativity earlier this month for thousands of people at Immanuel Lutheran Church in Blumfield Township, near Saginaw. LAWRENCEVILLE, N.J. (AP) — Twitter users anywhere in the world can control the lights on a holiday display in New Jersey. Tweets will turn on a 9-foot Christmas tree, menorah and over 1,000 LED lights at Oxford Communications in Lambertville and also turn them off. People share their Christmas traditions, WTOP's Kathy Stewart reports. 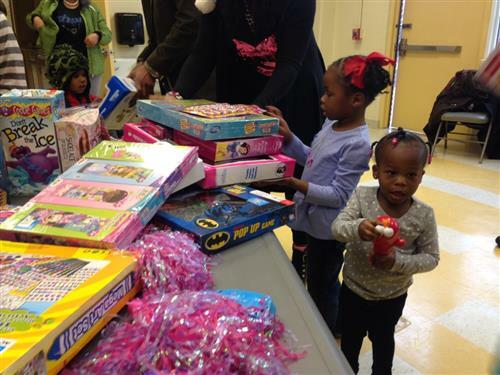 The late Marion Barry years ago started a holiday tradition to help provide Christmas toys for kids in Ward 8 who might otherwise not get one. This Christmas, his son carried it on. WASHINGTON — It could be changing family situations. 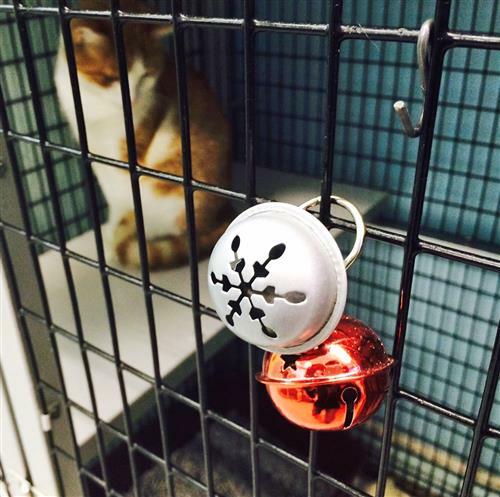 Sometimes there were financial troubles, or a just a spur of the moment decision by a pet owner: In recent years, area animal shelters saw a sudden spike in the number of family pets who wound up homeless for the holidays. 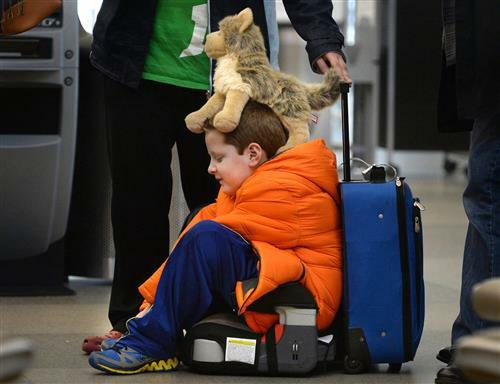 Something about the pressures of the holidays prompted the seasonal surge in pet give-ups. “People were going out of town, just deciding they weren’t going to board the animal, and would give it up,” says Rodney Taylor, associate director of the Prince George’s County Animal Management Division. Read more and see photos on WTOP.com. BETHESDA, Md. — While the sleigh was in the shop prepping for the annual global trek, Santa got a lift from a fire engine to deliver hundreds of presents to kids at a local shelter. 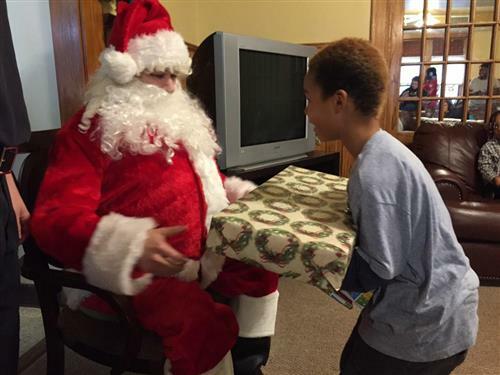 After two weeks of collecting gifts from the neighboring communities, the Cabin John Park Volunteer Fire Department made its annual stop at the National Center for Children and Families.